So, you’ve gone over the mileage you agreed on your lease car and you’re not sure what happens next. Firstly, don’t panic. While it may seem like the end of the world, it’s actually a fairly common situation. Finance and leasing companies are pretty used to getting cars or vans returned with more miles on the clock than agreed in the contract. In fact, unless you’ve gone completely overboard and done double your annual mileage, they’ll barely bat an eyelid. We go through this process a lot at OSV, which is why we’re going to talk you through exactly what happens when you go over the agreed mileage on your lease. So relax, we’ve got this. How Do Excess Mileage Charges Work? When you return the vehicle to the finance house, the collection driver will check the miles on the clock. The Finance house will then calculate how much over your agreed mileage you are, and they will charge you what is known as an excess mileage charge. Depending on the lease company, and sometimes the vehicle model, this can range anywhere from around 6p to £1+VAT (Value Added Tax) per mile. Some finance houses like Lex Vehicle Leasing increase the excess mileage charge if you do more than 10% of the contract mileage, and the increase is 50% more for every mile over the 10% agreed margin, so 6p turns into 9p per mile and £1 turns into £1.50. If you’re in doubt, check your agreement. Mr Stiles has a lease car on a 2 year contract. Over the two years, he’s got an allowance of 5,000 miles per annum, resulting in 10,000 miles over the contract. However, Mr Stiles ended up doing 10,000 miles for both years, resulting in an extra 10,000 miles on the clock when he went to hand his car back. The excess mileage charge was 6p+ VAT per mile so the finance house calculated Mr Stiles had to pay 6p multiplied by 10,000 resulting in a bill for £600+VAT. Does the Excess Mileage Charge Differ Between Car Types? Is it Cheaper to Pay the Excess than go for a Higher Mileage Contract? This is a question that we at OSV get asked a lot. However, we can’t give a simple yes or no answer as there are other factors involved. The best answer we can give is, sometimes. Sorry. 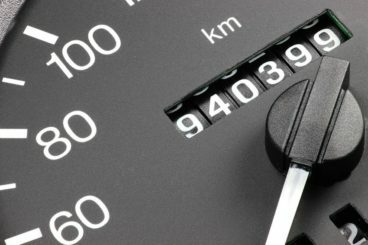 Annual mileage is a big factor on the cost of your monthly payments in a lease contract. If you state you’re going to be driving 20,000 miles a year, you’re obviously going to depreciate the car quicker than someone who will only be doing 5,000, and so you’ll incur more charges. However, just because going over your annual mileage means extra charges doesn’t mean you should opt for the larger allowance at the start of your contract. But as we’ve said before, this isn’t a simple yes or no answer. 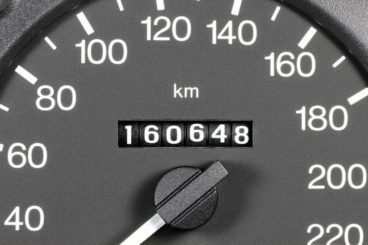 Sometimes the difference between a 20,000 annual mileage and a 25,000 annual mileage could be as much as £50 a month. But, if you’re leasing a car with a 6p per mile excess charge and you do 23,000 miles a year, you could save yourself over £400 by paying the £180 excess charge at the end of the contract rather than paying the £600 extra a year for the 25,000 mileage contract. Of course, this isn’t always the case. Some leasing companies have a higher charge for excess mileage and some have better deals on the contracted annual mileage. It’s always worth exploring every option before deciding what’s best for you. What About Business Excess Mileage? If you’re a business and you’ve gone over your mileage then again, it’s not the end of the world. In fact, Excess mileage is treated as a “service charge” so you can claim back 100% of the VAT instead of 50% like your vehicles monthly rental. Also, you can write down 100% of the ex VAT figure against your end of year tax bill unlike the monthly rental on the vehicle. Will I Still Have to Pay for Excess Mileage if I Want to Buy the Car at the End of my Contract? If you’ve exceeded your mileage but you want to buy the car at the end of your contract, you still have to pay for the excess. You will have to declare the excess mileage when you tell the finance house you want to buy it. They will then charge you accordingly. Can I Increase the Mileage on my Lease? If you’d rather not have to deal with extra charges at the end of your contract but you know you’re going to be over your annual mileage, some finance houses let you increase your mileage mid-contract so you can always give them a call and ask them to do this. This may result in an increase in your monthly payments, but you’ll avoid a lump sum at the end. However, if you do decide to increase your mileage but you don’t use the extra miles, you won’t get a refund. In conclusion, it’s up to you whether you would rather pay more monthly to avoid the excess charge or pay less initially and have a larger payment to make at the end. If you do go over your mileage on your lease car, you will get charged a fee. But sometimes that fee is the cheaper option. Told you it wasn’t the end of the world. Ash enjoys: Time with his family, nice meals and making music in the recording studio. He's known for being highly organised and knowing every aspect of leasing and sales. He's friendly and always up for a laugh, and his success means he works directly with key accounts within OSV to supply vehicles all over the UK. That excess mileage has to be declared and is charged for even when the user buys the car seems counter intuitive given that they may have benefited from reduced monthly payments but are hit with having to buy at a higher final valuation. 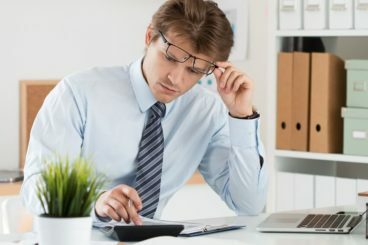 In the event that the leasing company will allow you to buy your car at the end of a lease, which is unusual, the reason why you would get charged excess mileage if you have gone over the agreed mileage is because the leasing company would have valued the car originally based on a lesser mileage that you stated at the beginning of the lease. If you have gone over this then the value of the car will be less than expected, so that would drive the “purchase figure” which is less than what the lease company would have expected. The excess mileage fee is then used to make the difference up between the expected value and the reduced value of the vehicle at the end of the agreement. We hope this explanation helps. If you are considering buying a vehicle at the end of a lease you may want to consider PCP https://www.osv.ltd.uk/car-finance-options/personal-contract-purchase/ where if you bought the car at the end you would not pay an excess mileage fee. This is a common misconception for all of those who perhaps leased over 10 years ago, and those who have had horror stories of people getting a bill for thousands of £’s when they hand their vehicle back in. There is some truth in the fact that excessive damage will set you back some when handing a vehicle, but as long as your careful and look after the vehicle like it’s your own, then there should be little if any charge at the end. They are not expecting a brand new vehicle back at the end. This is another reason why the BVRLA are so important in an industry where ‘Fair wear and tear’ are subjective. You cannot claim the mileage back at the end if you choose more than you need, that is correct. That’s why at OSV we make every customer aware that it’s important to understand their mileage needs accurately so that we can offer the best mileage limit to suit each individual. More often than not, it’s better to slightly underestimate your mileage rather than overestimate. If we ‘OSV’ believe this to be the case, we will advise where necessary. Yes, we totally agree. If you are doing high mileage it will cost you more regardless of how you finance or lease the vehicle. Thanks for your comment.